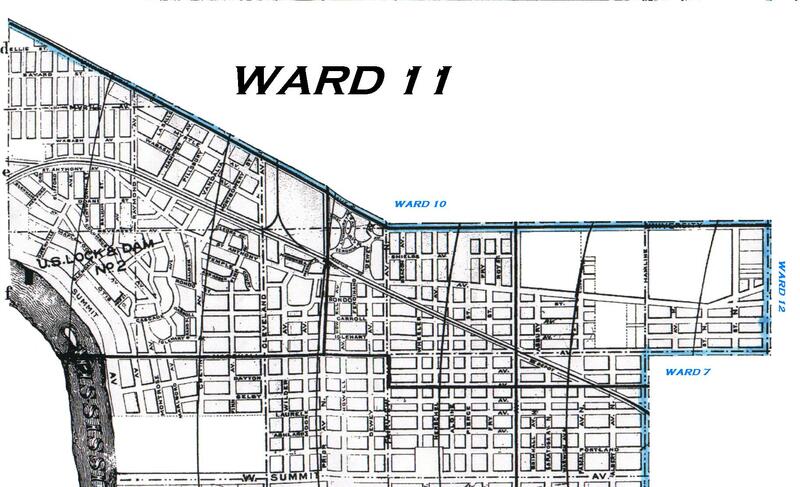 Ward 11 comprises all of the City of St Paul lying west of the Fifth, Seventh and Eighth wards, and south of University Av. 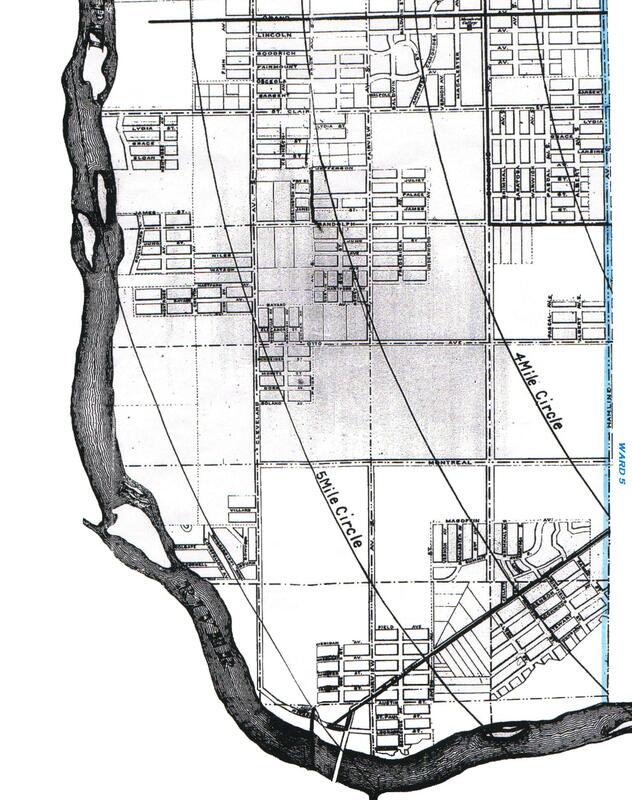 Referencing the City Directory's description for Wards 5, 7 and 8 the boundary of Ward 1 can be described as follows: Commencing at the western city limits and University Av, go southeast and east on University Av to Lexington Av, then south on Lexington Av to Marshall Av, then west on Marshall Av to Hamline Av, then south on Hamline Av to the Mississippi River, then west and north along the Mississippi River to the point of beginning. Note: The map below is divided into two images due to size. The northern and eastern borders of Ward 11 are indicated by the blue line. Click on a map to enlarge it and launch it into a separate window.